Alston Moor is a large rural parish in Cumbria which historically both depended upon and provided important services for the agricultural and mineral industries of the North Pennines.Much of the area's settlement is dispersed among hamlets and single farmsteads. Isolated from major northern cities such as Carlisle and Newcastle by the surrounding hills and moors, the parish's wild upland landscape provides a conditioning influence on a distinctive tradition of vernacular building types, ranging from the bastle to its later 18th- and 19th-century derivatives and 'mine shops' providing lodgings for miners close to their place of work. Found across the parish, and with urban variants present in Alston itself, these buildings have in common first-floor living accommodation whilst the ground floor is used for cow-byres in more rural areas and for general storage, workshops and shops in urban and industrial contexts. This development of the bastle, a fortified house type found on both sides of the Anglo-Saxon border is nationally significant yet remains under-examined at the level of architectural and historical synthesis. 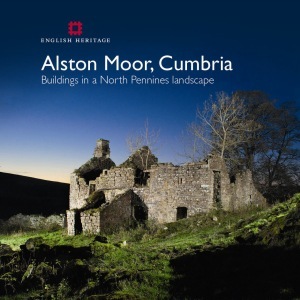 This publication presents an informed account of Alston Moor's vernacular buildings from their earliest survival onwards, and sets them within their regional and national context. It explores how houses of various types combine with a rich legacy of public and industrial buildings to create places of distinctive character. It takes a whole-landscape view of the area, relating its buildings and settlements to the wider patterns of landscape evolution resulting from agricultural and industrial activity and the development of communications. This is a beautiful book, richly illustrated to English Heritage's usual high standard. As Simon Thurley says in his foreword, 'Alston Moor is a very special place'. It can appear cold, wet and bleak but the superb photographs let the reader glimpse the magical quality of its landscape.